Mesa Roofer | What is the Durability of These Roofs? What is the Durability of These Roofs? The reality is that certain roof types are more durable than others, and a good roofer tells people this. Let’s see what a roofer would say about the following three types of roofing. A shingle roof is a roof made of individual overlapping elements, generally pitched at an angle and laid in courses. How durable is this type of roof? 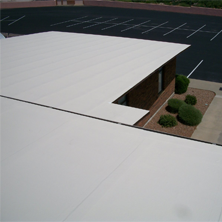 It depends on the type of material used and how well the roof is maintained. 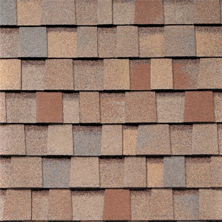 Historically, shingles were made of wood. Wood resists water damage for a while because of the natural resins in the cellulose, but heat softens up the resins and rain gets in between shingles. This causes rotting and warping around the nails that will spread if not caught. In about 20-50 years, the roof needs replacing. Wood is not your only option these days. Asphalt shingles can be used, which can’t catch fire as easily as wood. Asphalt lasts about as long as wood, once the sun softens the oils in it. Slate, however, resists damage from the weather for 80-400 years. There are buildings from the Middle Ages still sporting their stone shingles. 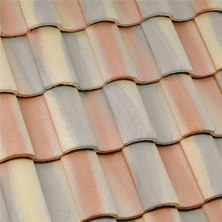 People sometimes use metal or plastic shingles, and those are not as long-lasting as slate, but they resist fire damage. Unlike shingle roofs, tile roofs frequently use tiles shaped so that they interlock with each other so that they repel water. Different tiles interlock in different ways. Roman tiles are flat in the middle and have a concave end and a convex end. These ends interlock. Pantiles have s-shaped profiles that lock into adjacent tiles like sections of an MC Esher painting. Then there are mission tiles; semi-cylindrical tiles that you lay in interlocking columns. Roofs made with interlocking tiles can last 75-100 years, though tiles made of clay or cement will break if you step on them. Flat roofs are what they sound like- they either have a very slight pitch or no pitch at all. They are as durable as the membrane used to cover the flat surface. Since they don’t take up as much space as pitched roofs, they can be structurally very strong. The problem is that they can collect water if they don’t drain properly. The water can then freeze and blow open cracks in the roof. A well-maintained flat roof with a built-up coal tar or bitumen covering can last 50-70 years. Some people give the life-span of a flat roof as 10 years, but good maintenance, materials, and original craftsmanship will make a much more durable roof. 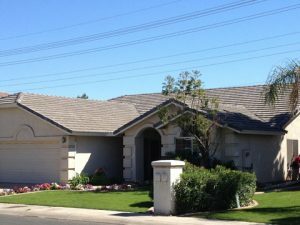 Looking to replace your current roof in your Mesa home? 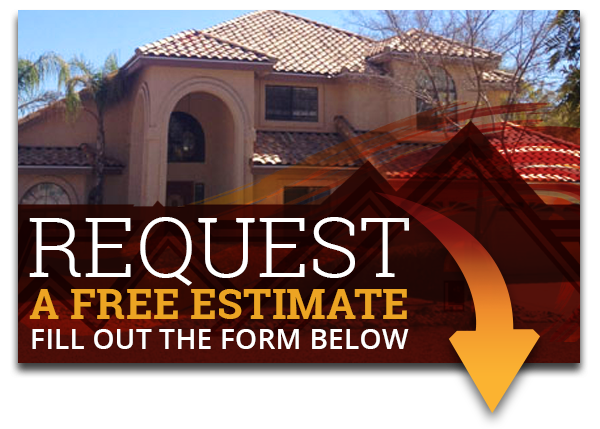 Call Express Roofing LLC at (480) 226-4245 Express Roofing LLC’s professional Mesa roofers will be happy to help with any questions or concerns you may have concerning your roof and we’ll provide you with all the information and answers you need. So contact us today for high quality roofing services.